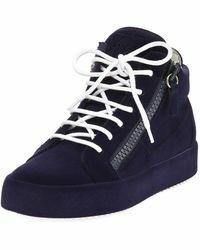 With the view to provide people with the most remarkable shoes in the world, Giuseppe Zanotti founded his namesake label in 1994. 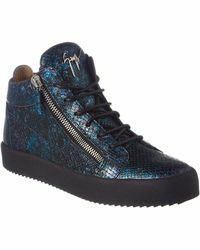 Born in San Mauro Pascoli, a small Italian village renowned for its history of expert shoemaking, Zanotti ensures that the technical aspect of craft is never compromised in his designs. 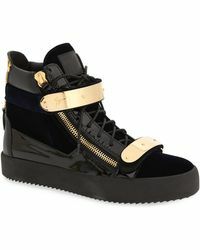 From vertiginous pumps and crystal-embellished sandals for women to polished loafers and studded sneakers for men, Giuseppe Zanotti is the go-to name for the ultimate in elevated footwear. 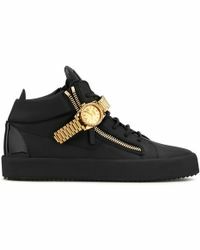 Browse and shop the full range of Women's Giuseppe Zanotti Clothing, Shoes, Accessories, Handbags and Jewelry as well as Men's Clothing, Men's Shoes, Men's Accessories and Men's Bags.